DILIsym Services, Inc. was incorporated in 2014 and operates in Research Triangle Park, North Carolina. DILIsym Services, Inc. is committed to providing the pharmaceutical industry with the tools, resources and information to more efficiently develop safe and effective drug therapies that increase the availability of vital therapeutics for the patients who need them. DILIsym Services, Inc. has developed the DILIsym® modeling software and the NAFLDsym® modeling software to support these objectives. DILIsym Services, Inc. makes this software available to pharmaceutical companies in addition to performing services projects with the modeling software. In these projects, the DILIsym Services, Inc. expert scientific team engages clients from initial program design through data input and results interpretation. Our mission is to help ensure the safety of drug therapies by leveraging our expertise in the areas of drug-induced liver injury, metabolic diseases, and modeling and simulation. We aim to make drug development more efficient for the pharmaceutical industry by informing key decisions, which will in turn lead to increased availability of vital medicines for the patients who need them. Identify and/or substantiate precision medicine approaches from a safety perspective that may allow therapeutics to reach a majority of the target patient population without harming a few. DILIsym Services also has the goal of aiding the successful development of medicines to treat nonalcoholic fatty liver disease (NAFLD) and nonalcoholic steatohepatitis (NASH). This goal is accomplished via the use of our newest product, NAFLDsym, to partner with pharmaceutical companies in this endeavor. Read more on when and why DILIsym became a part of the Simulations Plus family. DSSI has multiple software platforms to support biotechnology and pharmaceutical companies in the development of safe and effective treatments. These software platforms support DILI-sim Initiative and DSSI goals of improving patient safety, reducing the need for animal testing, and reducing the costs and time necessary to develop new drugs. Click on the software titles on the right hand column to learn more. 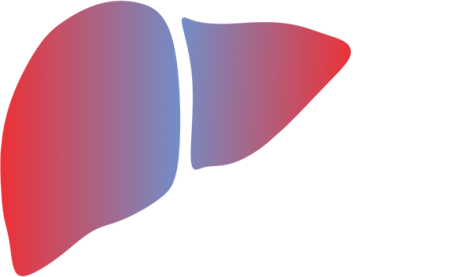 The DILI-sim Initiative is a consortium of life science companies led by DILIsym Services, Inc. and charged with developing DILIsym software, a predictive, mathematical model of drug-induced liver injury. The goals of the Initiative are to improve patient safety, reduce the need for animal testing, and reduce the costs and time necessary to develop new drugs. DILI-sim is currently welcoming new members. Perhaps most importantly, DILI-sim members have a prevailing voice in the development plan of the DILIsym software, ensuring that the model will be of maximum utility as it is developed within their respective organizations. Members also get the chance to hear and learn from one another at regular virtual and face to face meetings, where scientific discussions centered around DILI occur.